Shop and buy Fabricut Curtain Rods and Fabricut Drapery Rods including hardware offers great looks for finishing off your window treatments including drapery and curtains. 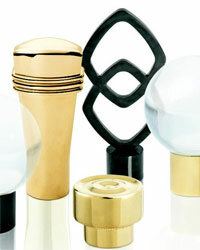 Choose from modern to classic traditional styles in the collections that offer finials along with a variety of curtain rods, brackets, curtain rings and coordinating hardware all offered at discount prices. Fabricut Curtain Rods feature great looks in wood to metal as well as resin in designs that will give your home that designer look without breaking the bank. 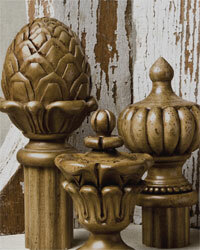 Offered at discount prices, these curtain rods are in stock and available for quick shipping. View the great looks found in Fabricut Drapery Hardware with Fabricut Fabric and Fabricut Trim for styles that will have your home looking like it should be in a decorating magazine's featured showcase. Shop from curtain rods featuring an assortment of materials, scales and finishes, Fabricut Curtain Rods and Drapery Hardware showcase classic traditional designs along with innovative modern styles for the budget minded decorator. 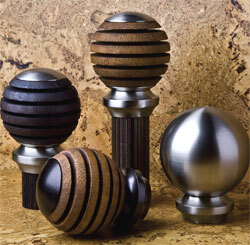 Choose from pole diameters from a small 1/2" up to a beefier 2" curtain rod. 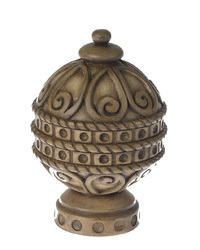 Buy from the mix of finials offered in these Fabricut curtain rod offerings that are great for those wanting elegant looks to finish off their window treatments. 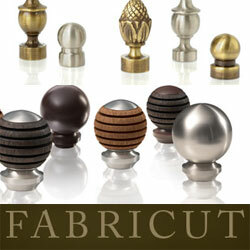 Fabricut Curtain Rods offer classic wood curtain rods and wood traverse rods as well as drapery hardware accessories featuring a 2 inch diameter fine quality wood curtain rod in 4, 6 and 8 foot lengths with finials, rings, brackets and accessories. These wood curtain rods also offer a wood traverse rod for standard and ripplefold pleated draperies. Exotic and carefree the Global Elements wood curtain rods by Fabricut takes us to a place where the views are spectacular. Collected over generations, and Marrakesh inspired, Global Elements by Fabricut allows for dynamic combinations of handcrafted metal and distressed wood in these 2" plain and fluted wood curtain rods with all the coordinating drapery hardware. The Fabricut Modern Fusion curtain rods and traverse rods was designed for those with an eye for simple lines and natural materials. Fused smooth woods and sleek metals meld to indulge you in a variety of contemporary styled drapery rods for traversing your window treatments.